By Liam Brennan . Published on March 24, 2017. For decades, we've been taught that reaching the right audience with the right message at the right time is the holy grail of marketing. But is it? And even if it is, do we have the tools we need to achieve such a lofty goal? After all, many brands and agencies struggle to identify just the first of these three "rights," and, truth be told, traditional media processes and practices aren't helping. Consider this: a client tasks a media agency with targeting people looking for a new car. Or maybe it's consumers interested in on-demand entertainment, or shoppers seeking an alternative to high-calorie snacks. The target audience is then translated into a demographic: 18-34, male or female, urban, $50k+, ABC1. While these kinds of blunt instruments may have been suitable in an offline world (where selecting among a limited number of properties maximized relevant reach), their true effectiveness in the digital world is limited at best. Why? Because the digital world thinks audience first, not media first. Grouping online audiences by demo produces very narrow targets that do not necessarily represent a brand's most productive audience. We call potential consumers who do not fit a rigid demographic profile "valuable wastage." A recent analysis for a blue-chip client revealed that 35% of its sales came from valuable wastage, or consumers outside its broad 18-34 target, and a whopping 50% of sales came from outside its 18-24 bullseye. If this client had relied on demographic targeting alone, it would have severely limited its brand awareness and sales potential. Not to mention the fact that campaign results would have been poor, causing the agency and brand to question anything from messaging, to pricing, to creative. This is not a unique example. In 2016, many brands realized that over-targeting brand loyalists (or people who look like them) was restricting their ability to reach new growth audiences. So how can the industry overcome this problem? Dropping targeting altogether is equally likely to produce waste. Instead, the answer lies in a productive middle ground between mass reach and segmentation targeting, where more productive audience models can be built based on Behaviors, Emotions and Moments. In the BEM approach, demographic data should be used only to remove outliers. Behaviors: Have consumers demonstrated (or exhibited proxy behavior) that indicates interest in a specific or related product area? Have they actively sought out or mentioned a particular product or service? Emotions: Has a particular product or service suddenly become more relevant? Are consumers posting emotional responses that suggest they would be receptive to certain brand messages? Moments: Has a trigger like weather, transportation snarls, or other live events caused a product or service to become suddenly relevant? Has the consumer entered a specific location where helpful products are easily available? The BEM model allows planning and buying teams to improve targeting and tailored messaging by combining programmatic buying with new data sources and triggers including conversation scrapes, content emotion analysis and real-world factors. Layered on top of brand-building activity that may deliberately have a broader reach, BEM targeting can identify consumers moving into a consideration phase and speak to them directly with relevant messages. The results can be dramatic. Brand preference and purchase intent lift can nearly double when compared to traditional demographic targeting. One brand that has benefited from using the BEM model is Air Asia. Instead of using demographics alone, the airline leveraged its own CRM database to define and value audiences based on travel frequency and brand advocacy on social media. Programmatic buying was used to serve individual consumers with custom messaging. Its new approach led to a 58x return on ad spend. Meanwhile, New Balance used emotional targeting to increase brand awareness levels in Japan by targeting video to consumers exhibiting pre-set emotional receptivity signals. The result was a 135% increase in awareness vs. control. These are just two examples of brands using BEM to turn data from filter to active facilitator, while still enabling the scale needed for brand growth. Netflix created some buzz last year when VP of Product Todd Yellin publicly described demographic data as nearly irrelevant. "Geography, age and gender? We put that on the garbage heap," he said, before describing the company's practice of targeting audiences based exclusively on their content choices. If a 21-year-old man in New York and a 52-year-old-women in New Delhi stream similar content over time, so be it. Because clients and brands come in all sizes and shapes -- and may have differing objectives over time -- I'm not tossing demographics out with the trash. But I am saying that targeting can no longer rely upon rigid ideas, such as where a person lives or how much money she makes. We have subtler signals that have greater meaning today, and brands would do well to leverage them. 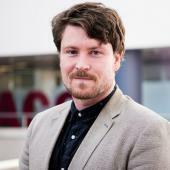 Liam Brennan is global digital director at MediaCom.